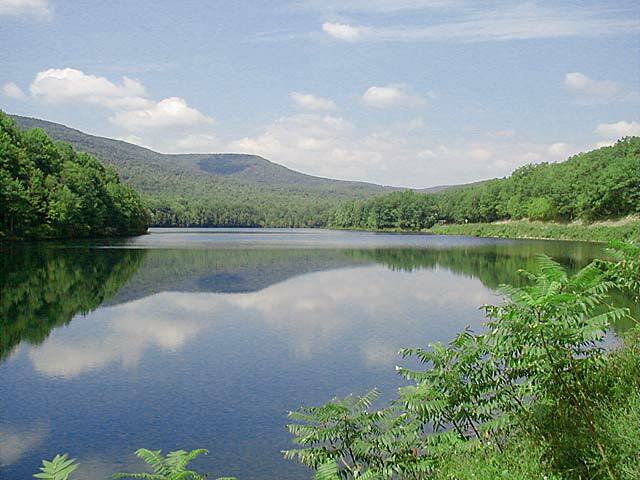 Like its counterpart to the southwest, Tipton Reservoir (built around 1920) drains a portion of the eastern face of the Allegheny Plateau known as the Allegheny Front. Three Springs Run joins Tipton Run about two miles northeast of this spot, with the pair forming the main water source for the reservoir. Additionally, a smaller amount of water is piped about a mile from Loup Run one ridge to the west, dumping into the reservoir just above the dam.